The focus of this study is to contribute towards both the above-mentioned directions of research. The first aim is to test the sensitivity of the parameters that affect energy consumption and comfort in the residential built environment in a theoretical basis. The second aim is to investigate if it would be possible, with the help of a sensor rich environment, to validate both prevailing models for indoor comfort, the PMV and adaptive model, and explore the dynamics between occupancy behavior, indoor comfort and energy consumption in the built environment. Sensor rich environments in the residential sector are not present yet in large scale; therefore, this study investigates a small, but still significant, sample of dwellings. 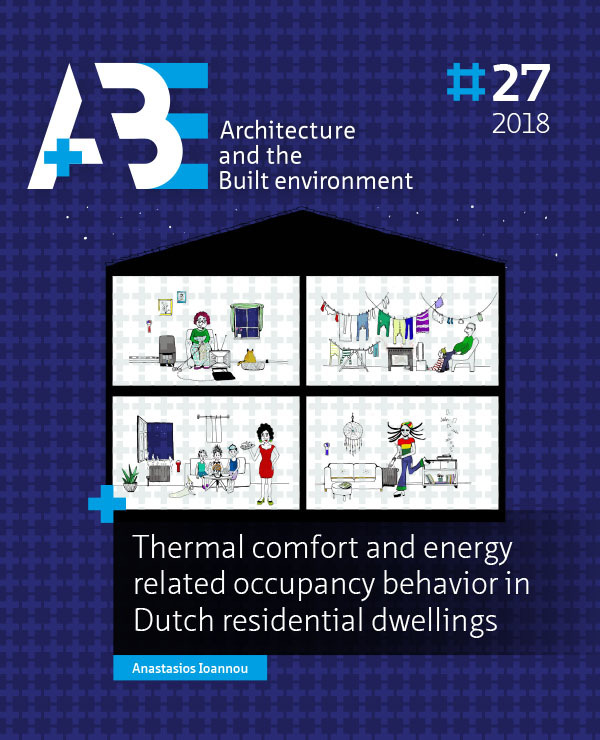 The aim is not to achieve representativeness for the complete residential building sector but to research if the methodology of using sensors to gather quantitative and subjective data (related to thermal comfort, occupancy behavior, and energy consumption) is promising enough and could lead to potential energy savings without compromising the indoor comfort of occupants. IOANNOU, Anastasios. Introduction. A+BE | Architecture and the Built Environment, [S.l. ], n. 27, p. 25-50, dec. 2018. ISSN 2214-7233. Available at: <https://journals.open.tudelft.nl/index.php/abe/article/view/3509>. Date accessed: 26 apr. 2019. doi: https://doi.org/10.7480/abe.2018.27.3509.